Models may walk in straight lines, but ghosts do anything but. 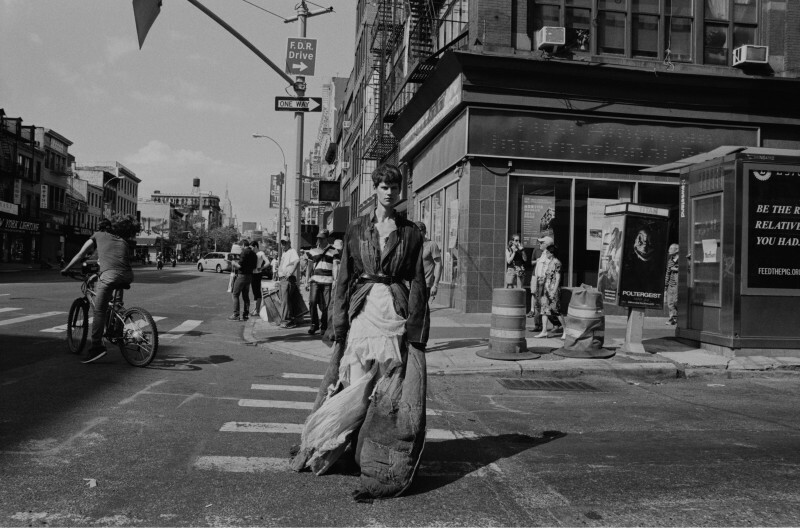 For her latest project, Dutch model-turned-performance-artist Saskia de Brauw wandered from 225th Street and Broadway, at the very top of Manhattan, to Battery Park, facing out across the water at the very bottom, in one day; a journey of 13 miles in a straight line, and longer still following her winding path. She wore a unique costume designed for her from scraps of leftover textiles by fashion designer Haider Ackermann, and Dutch photographer Vincent van de Wijngaard followed her all along the way. Together they’ve made a unique portrait of a day in the life of New York City, which, like a ghost, connects us to a moment that’s now past. This joint project will soon be premiered at Foam, in Amsterdam, and will also be published as a book.